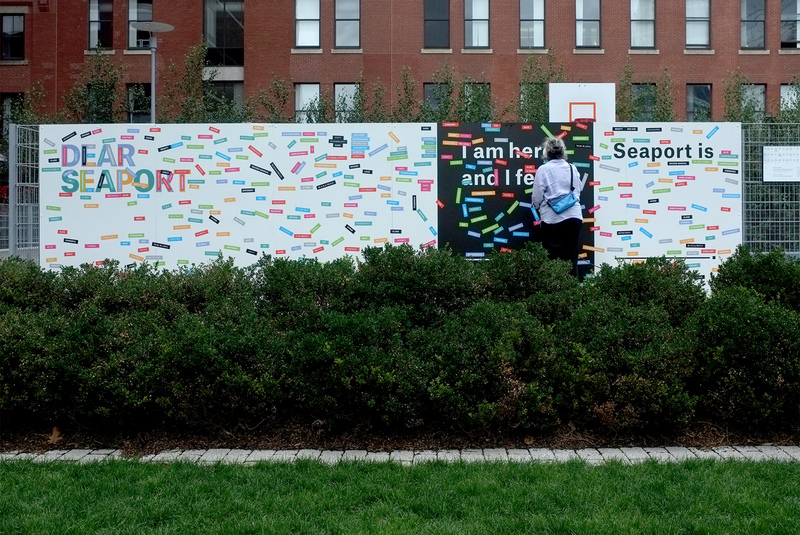 You are invited to play with the magnets on this wall. 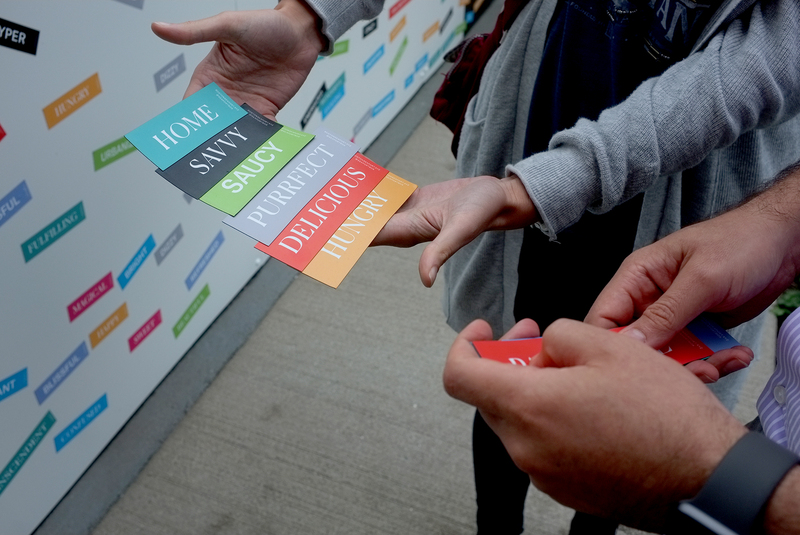 Some of the most popular entries were happy (46 times), home (19 times), beautiful (16 times), alive (12 times), calm (11 times), relaxed (11 times), magical (10 times), and peaceful (10 times). 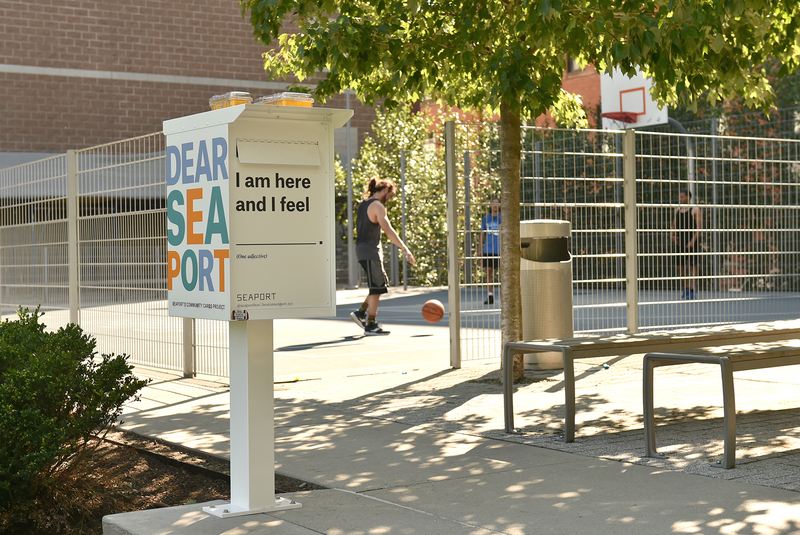 Dear Seaport box at Sea Green. 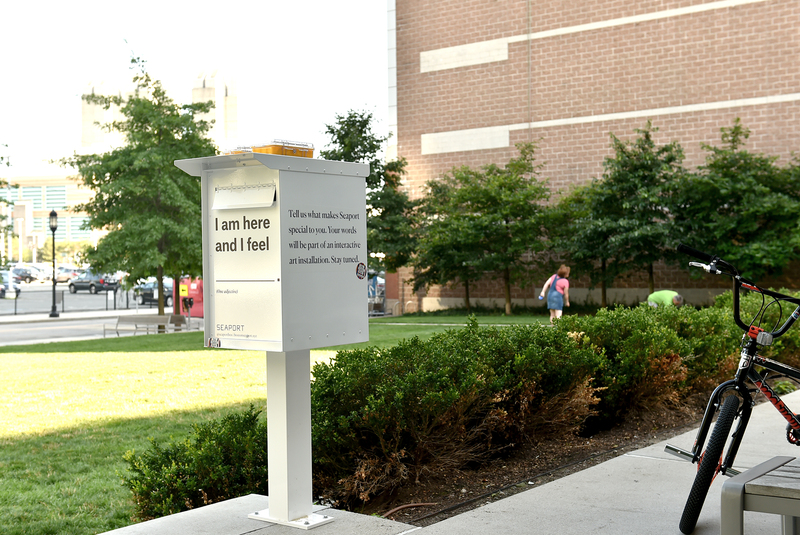 Please also feel free to take away your favorite magnet and tell another person about this project. 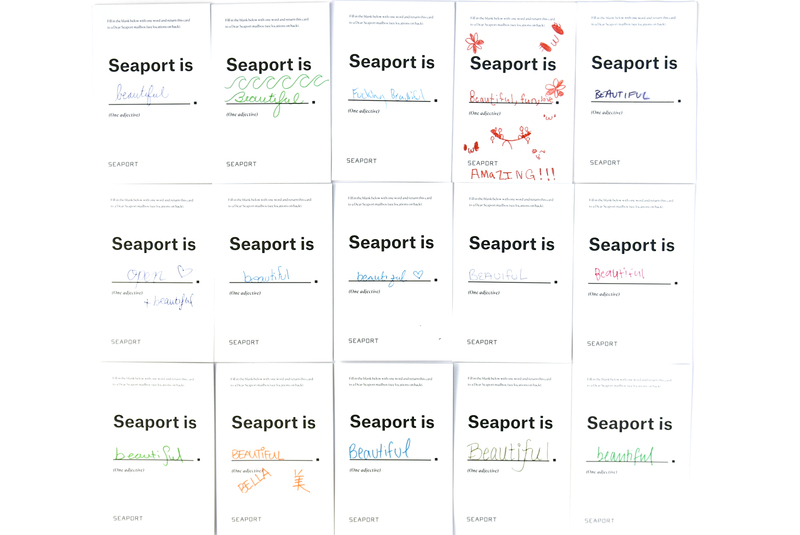 You can submit your own entry at one of the three “Dear Seaport” boxes. 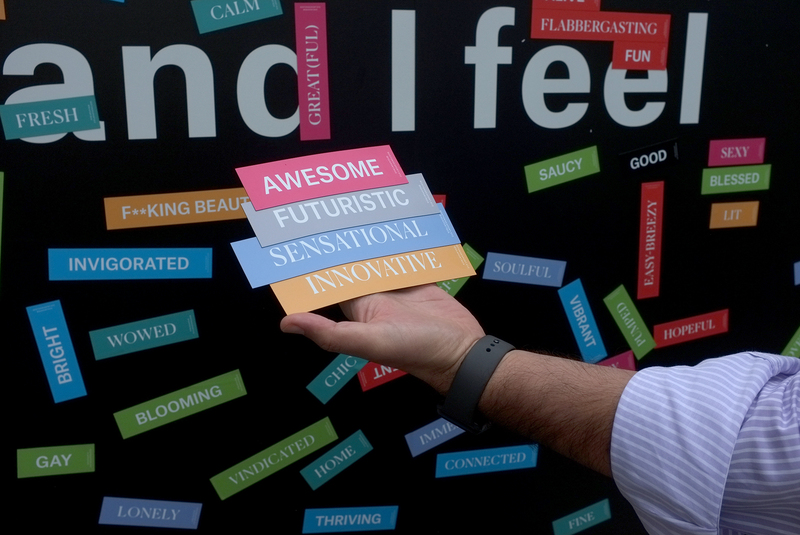 We will periodically produce more magnets featuring words that are submitted by people like you. 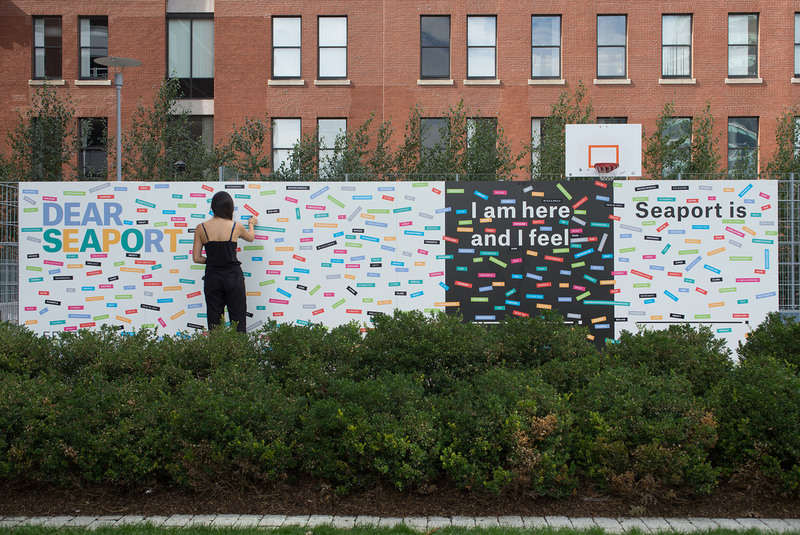 Come back to this website often and explore more projects like this. 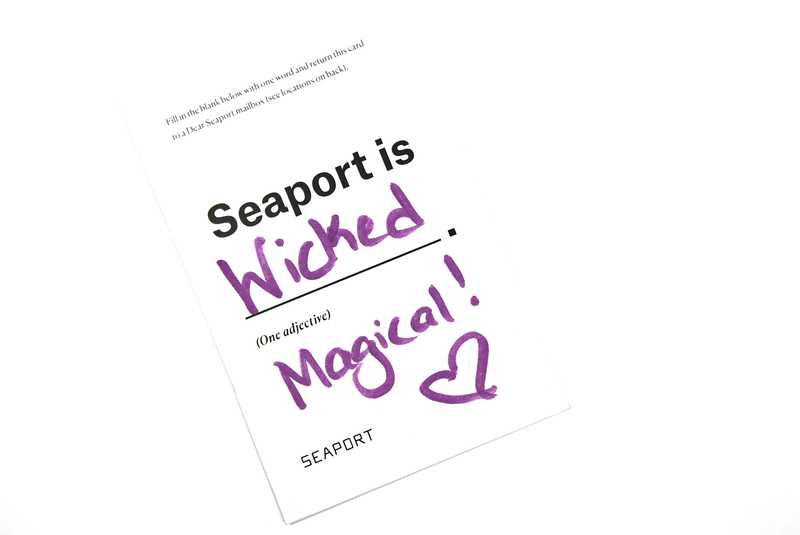 Stay tuned by following us on instagram @seaportbos. 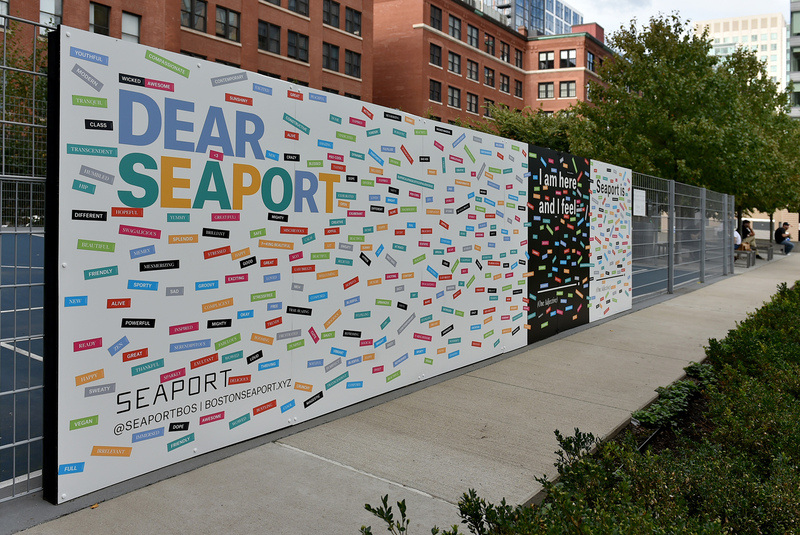 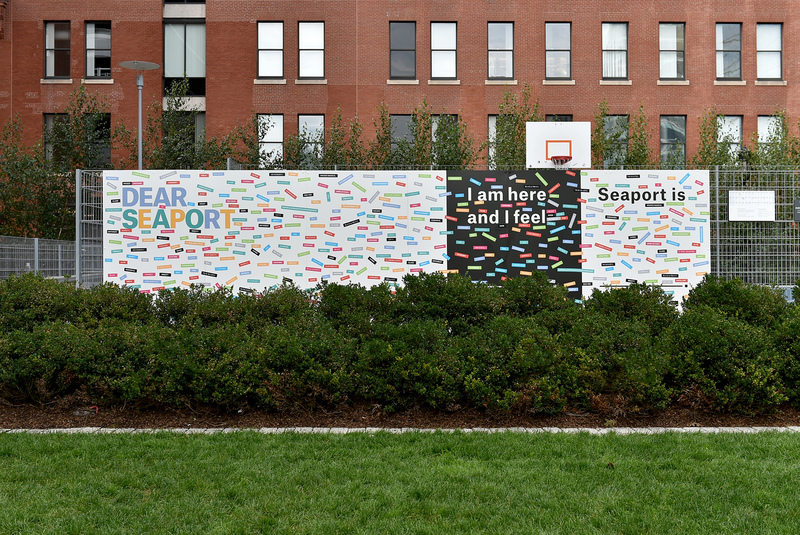 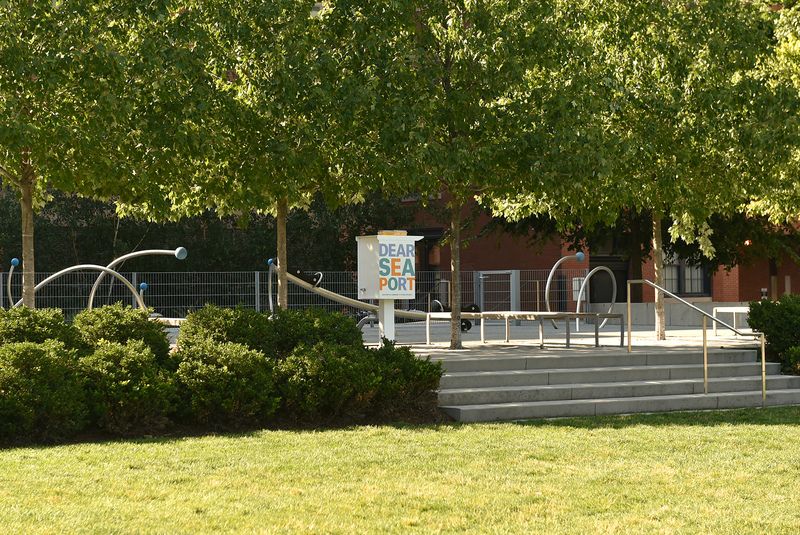 In July 2017, we installed three “Dear Seaport” boxes in the Seaport neighborhood to invite people to submit words describing Seaport and how they feel while they are here. 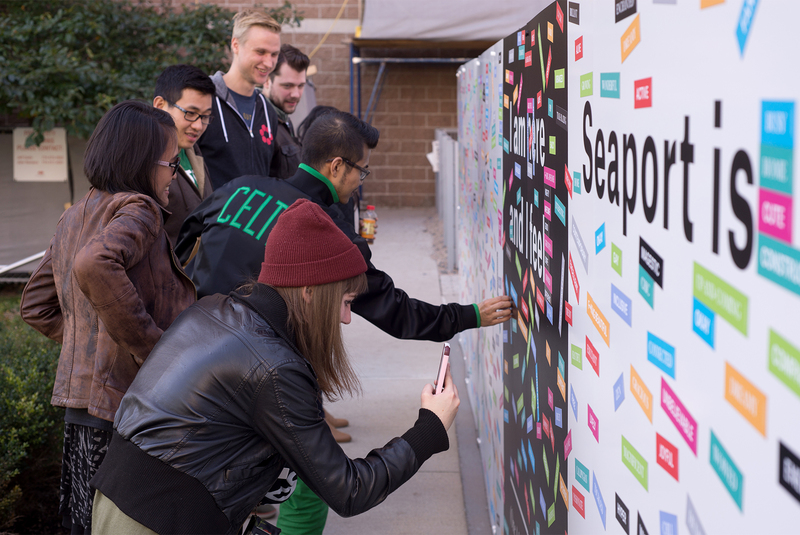 Within the first six weeks, we have received more than 1,000 submissions. 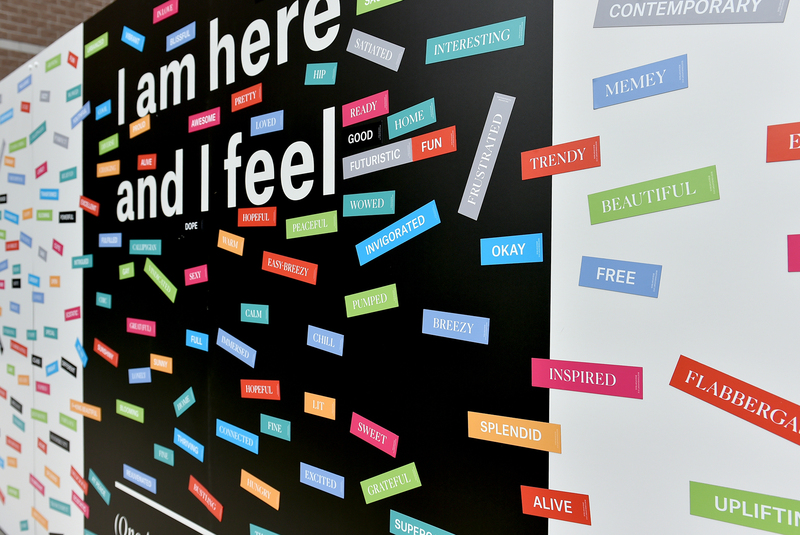 After reviewing all entries, we extracted 200 words, which are reiterated in the form of interactive magnets on this wall. 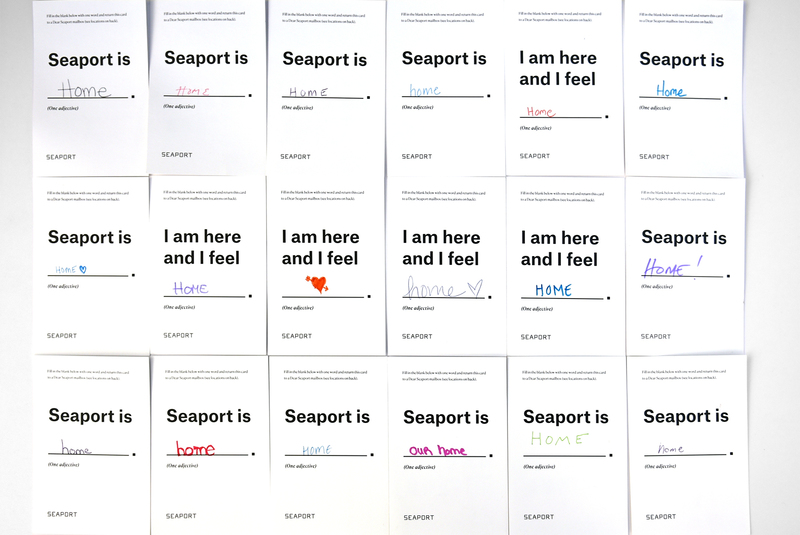 This project is brought to you by Seaport, a project by WS, with love.